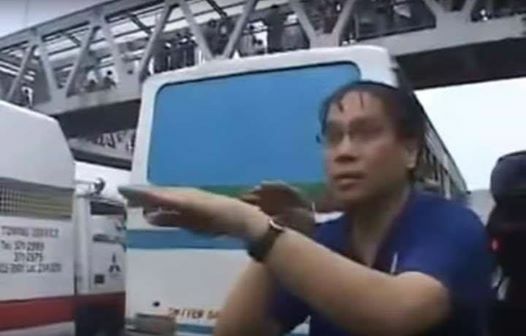 This guy, pictured below, is being heralded by netizens for his epic trolling of Mar Roxas. 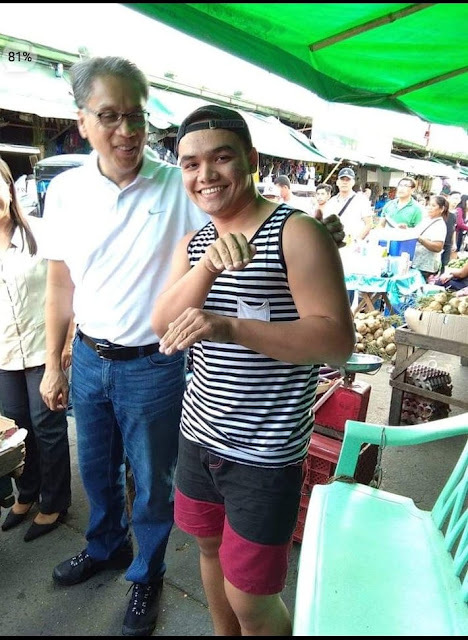 Mar Roxas, the infamous poster boy of the Liberal Party, a big loser, has now become a joke of the nation for his senseless antics during the last election. Mar Roxas, known for his unforgivable blunders as part of PNoy Aquino's government, needed to amplify his image to woe voters. Roxas' camp used publicity stunts that eventually backfired. Netizens didn't buy Roxas' stunts and even decoded them in a form of memes. Roxas became a farmer, a kargador, a traffic enforcer, an economist, but none of them worked. One of the stunts that Roxas was known for, was his traffic aid stunt. He was seen aiding an intersection during a rush hour - with him was a camera crew filming what he was doing. The best part of it, nothing that he did actually made sense. He was performing hand gestures, directing traffic like a real traffic aide would do. But if you try to examine what he was doing, nothing of it actually makes sense. Thus the inception of 'Roxas hand gesture memes' that flooded the Filipino social networks. He looked like a 2-year-old child performing in front of his parents hoping that he entertains him. People found the stunt absolutely funny, if not insulting. Up to this day, Filipinos still remember his stupidity and insincere personality making his one of the most hated politician.